Gold Medal won in Concours Général Agricole 2014 & 2015 ! Cleared and crystalline colour with green tint. Refined and rich scent of rose, pear and grape fruit. Eye Cleared and crystalline colour with green tint. Nose Refined and rich scent of rose, pear and grape fruit. 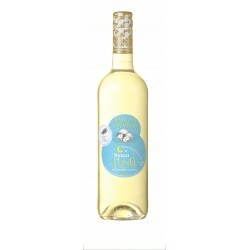 In mouth Generous flavour with acidulous and fresh citrus flavours. We recommend with Prolongation of the pre-dinner time by foie gras, blue cheeses and fruit desserts.